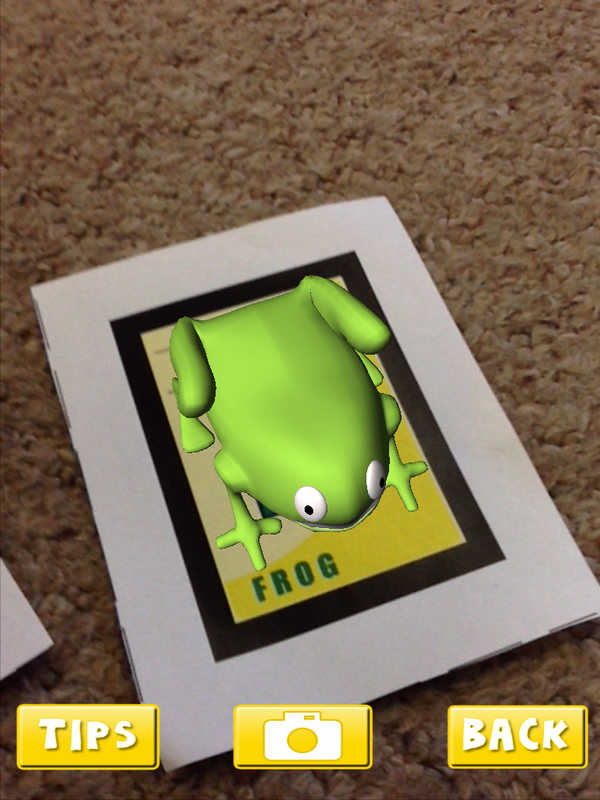 Fun with Augmented Reality! | Mrs. Anton's Class! ← Another Year of Fun with Technology! 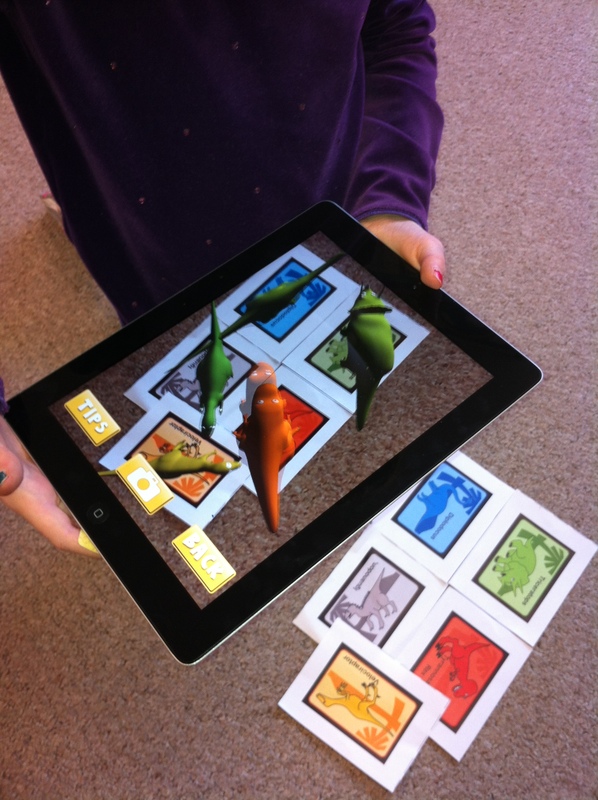 Over the past few weeks, the children have been experimenting with a variety of augmented reality apps. 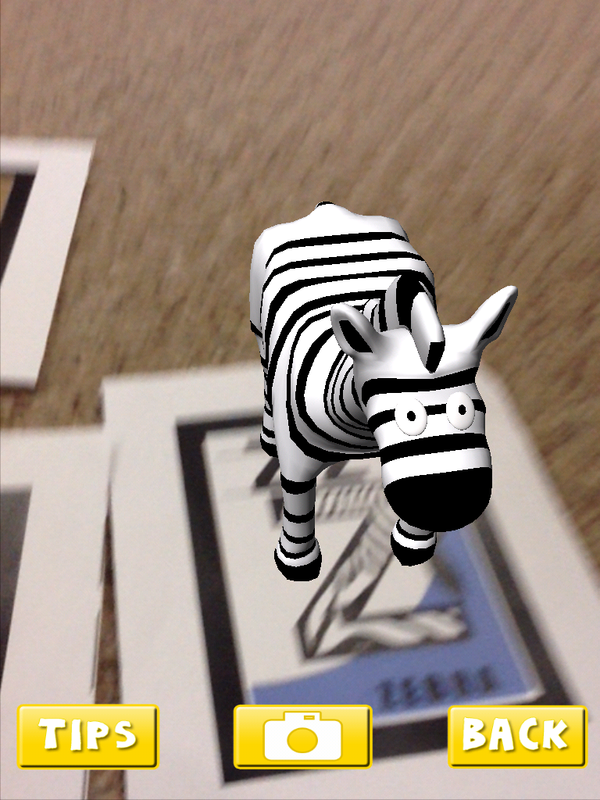 The first one I introduced is a favourite of mine called AR Alphabet Flashcards. I love this app. When the students hover the iPads over the trigger images, an augmented image of an animal appears as if by magic! The app is still free. You need to print off the trigger images on a color printer. You can find these images at the AR Flashcards website. The children like to see if they can pick up the animals by putting their hand underneath the image. If you tap on the screen you can hear a child say the name of the letter and the animal. Too cute. 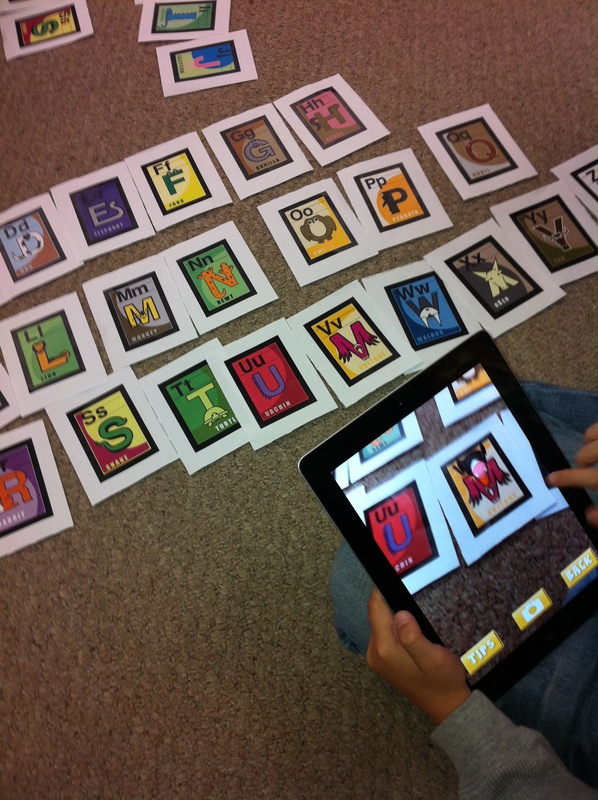 We will be using these images later this year to create an augmented reality alphabet book. You can see the one we created last year here. This app also includes some dinosaur images! We have also been doing a little with the CoLAR app. This is an awesome little app. I gave the students a special coloring sheet about pumpkins that has an augmented image embedded in the page. 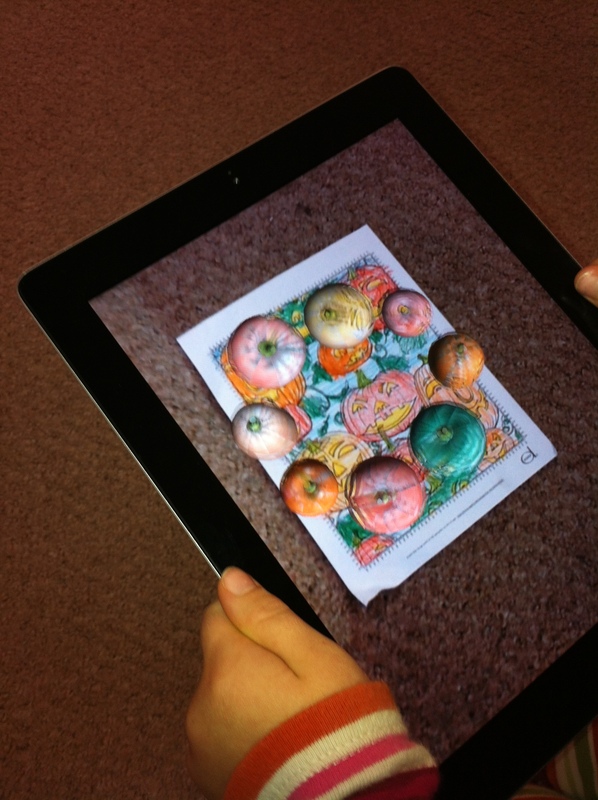 When they hold the iPad over the image within the app the trigger engages and the pumpkins begin to dance around! It also picks up the exact colors that the student used to color their page. Lots of fun. We have also started our science experiments. I hope the children remembered their promise to do this one over the sink! 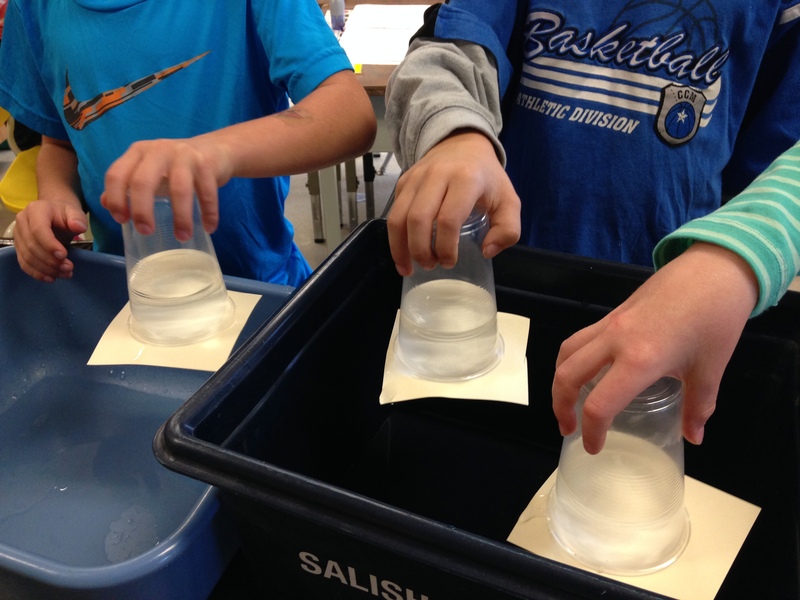 A couple of the students had to hold onto their cups for a long time before the force of gravity exerted itself! Lots of fun! Wet, too! Evan loved showing us this trick when he came home from school that day 🙂 So fun!